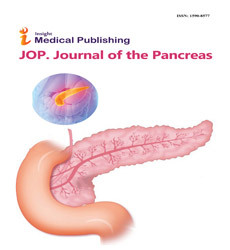 Autoimmune pancreatitis (AIP) is a newly discovered type of chronic pancreatitis that can be difficult to distinguish from pancreatic carcinoma. Autoimmune pancreatitis (AIP) is found to responds to treatment with corticosteroids, especially prednisone. Nowadays it is regarded as a form of hyper-IgG4 disease. There are two categories of AIP: Types 1 and Type 2 each with different clinical profiles. Type 1 AIP patients tended to be older and have a high relapse rate, but patients with Type 2 AIP do not experience relapse and tend to be younger. AIP does not affect long-term survival.